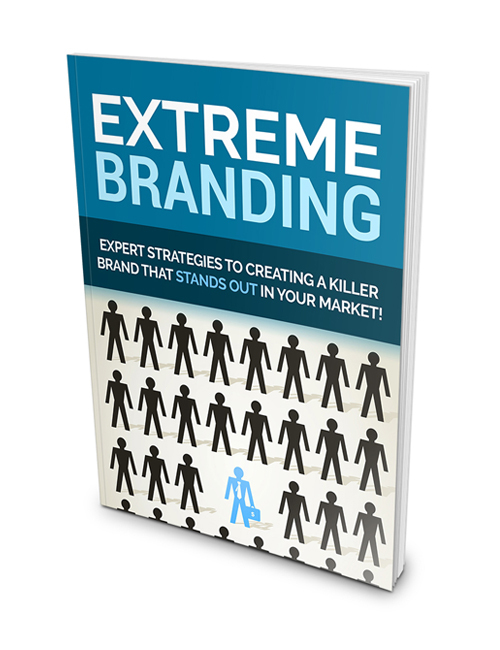 Extreme Branding – Expert Strategies To Creating A Killer Brand That Stands Out In Your Market is a comprehensive guide that shows you how to really push your brand as the leader in your industry no matter the competition you face. People gravitate towards authoritative figures and big brands. When you’re one of the bigger brands, your traffic is made as long as you maintain a good reputation. But it’s not something that just happens in a short time. You have to provide the goods to your audience no matter the niche you’re in. That’s how a brand grows and ultimately becomes a key player. In this guide, you will discover how to create your brand message, how to really build an incredible brand, the essentials you need to know in order to make the push upwards and much more. You’ll also receive a checklist to help you through each step on your path towards building a real and powerful brand. In every industry, there are always a few major brands that get the bulk of the sales. And if you’re looking for the green in your industry, your goal should be to build your brand to its biggest. This guide shows you how so hit the download button now if you’re truly serious.